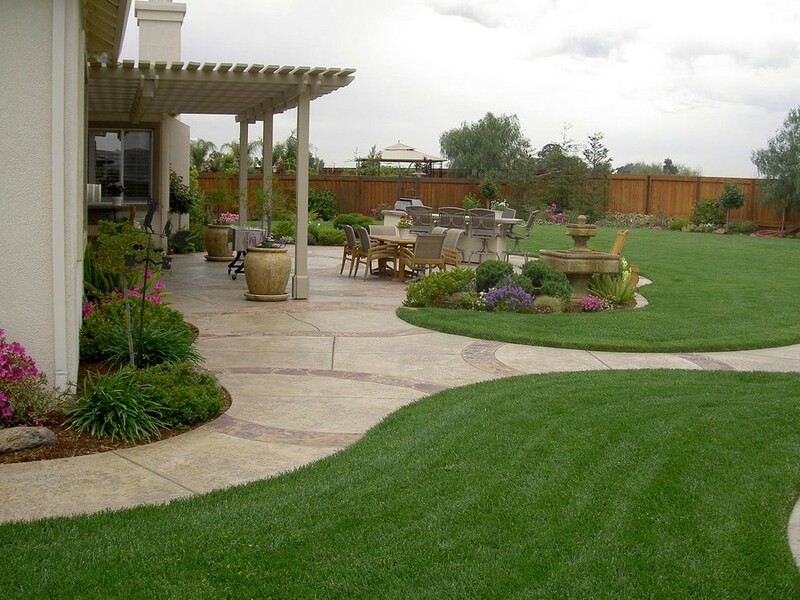 Garden walkways play the role of bridges linking different parts of your outdoor territory in a harmonious and convenient way, and hence should receive as much careful consideration as the layout of a house. How should they be designed? What designer tricks can be used to make a path appear longer, shorter or wider? 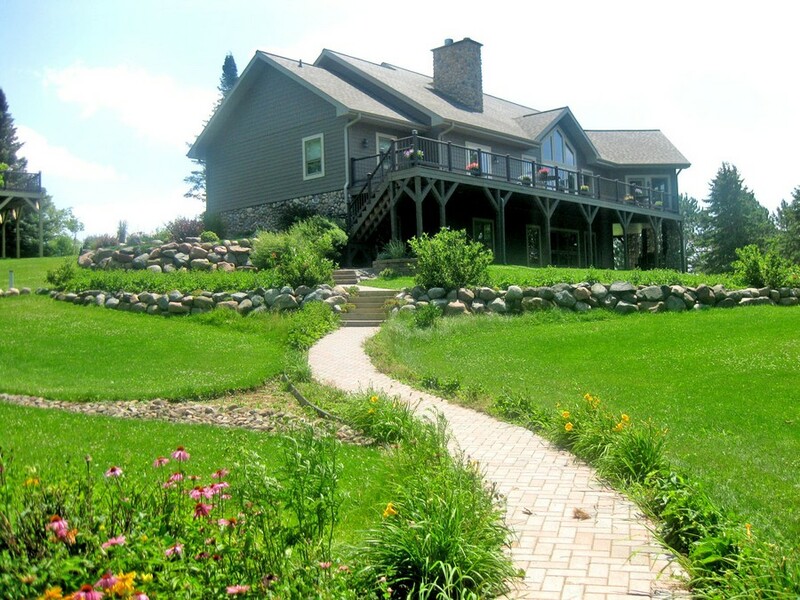 What are the ideal dimensions of a garden walkway? Let’s find the answers to these questions from this post! Before you get down to planning ideal routes, you should start from estimating the land topography in the first turn. 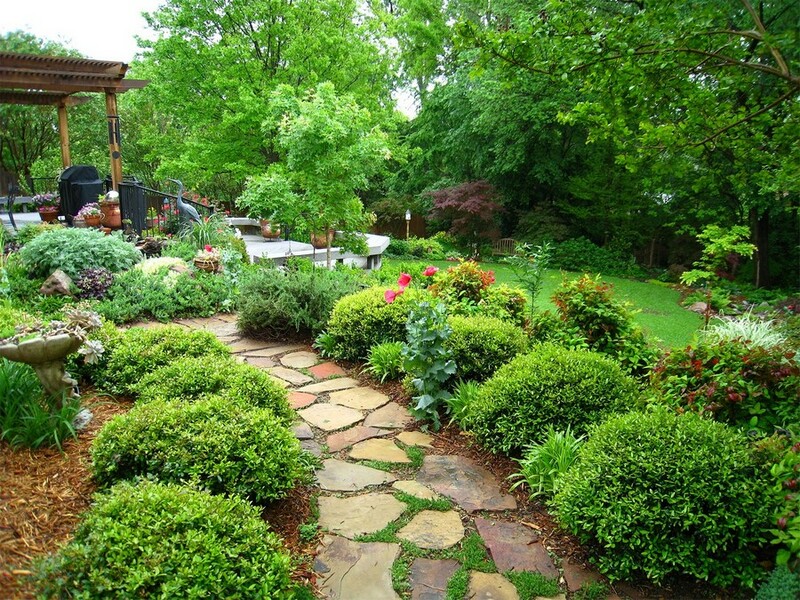 If you are a lucky owner of a perfectly flat land plot, pathways in your garden can be planned in any possible way: they can be straight and twisty, arranged perpendicularly to each other or branchy; it’s a matter of your personal choice and general style of your landscape design. 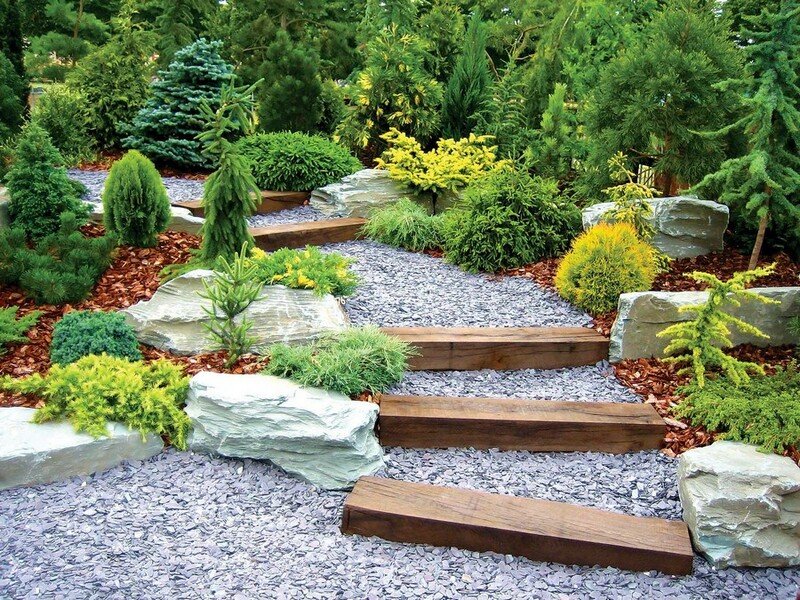 The best choice for slightly sloping terrain with the drop of height of about 1-5 degrees is zigzagging walkways with seamless transitions. And steep slopes call for stairs. The most limited selection is available to owners of saucer-like territories, in which the land descends towards the centre from all sides. 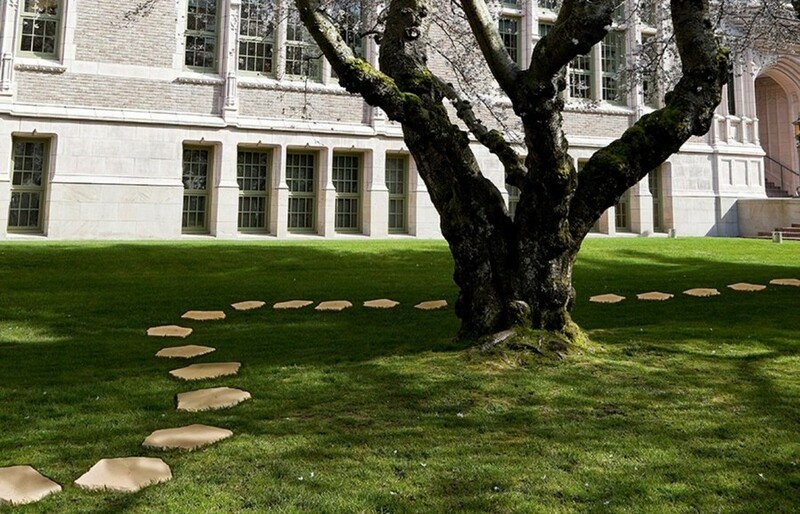 In this case there is just one option for garden paths arrangement – in the shape of the sun, where walkways play the role of sun rays leading to the central spot. 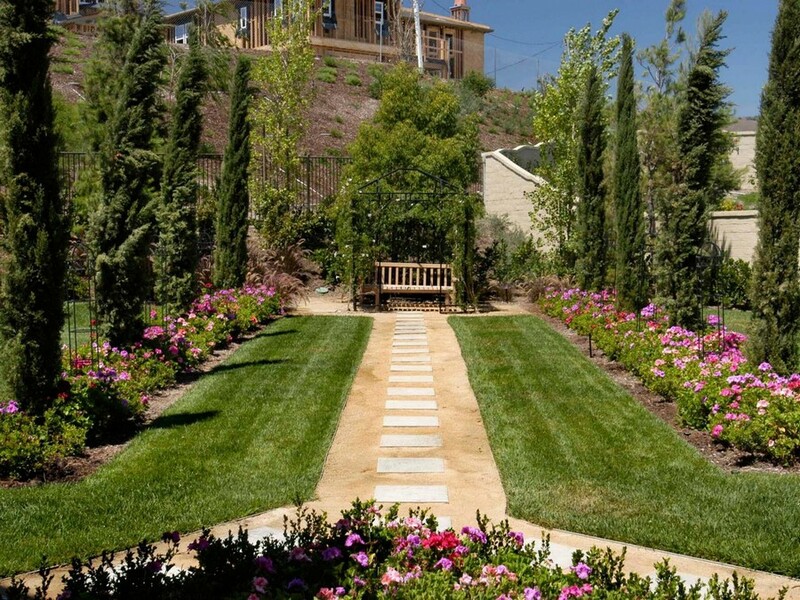 As soon as you make up your mind on the pattern of your garden paths arrangement, it’s high time to learn other tricks that help landscape designers “manipulate” outdoor territories and create optical illusions. It was noticed long ago that smoothly winding lanes create the effect of visual space expansion. And if the winds are additionally picked out by means of tall shrubs, even a tiny plot of land may look impressive and large. 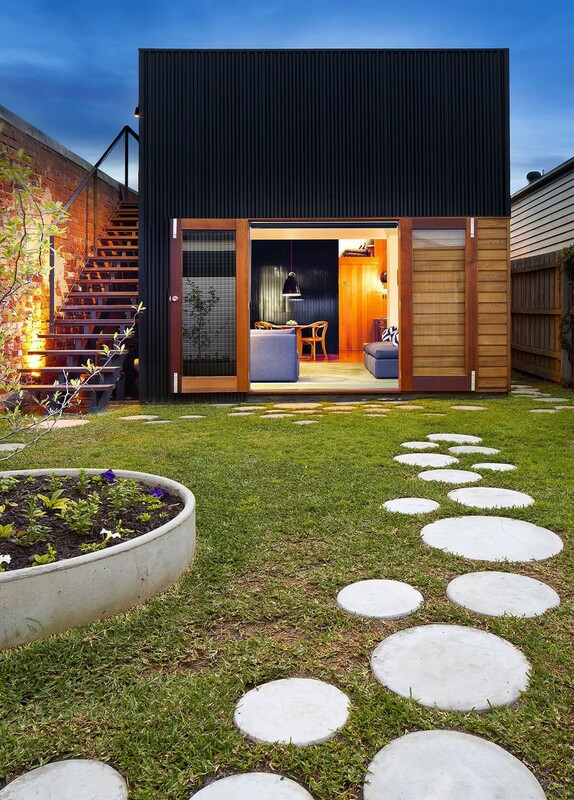 In contrast, a garden pathway will seem shorter, if you make it a bit wider as it approaches the building (a house, garage or shed). 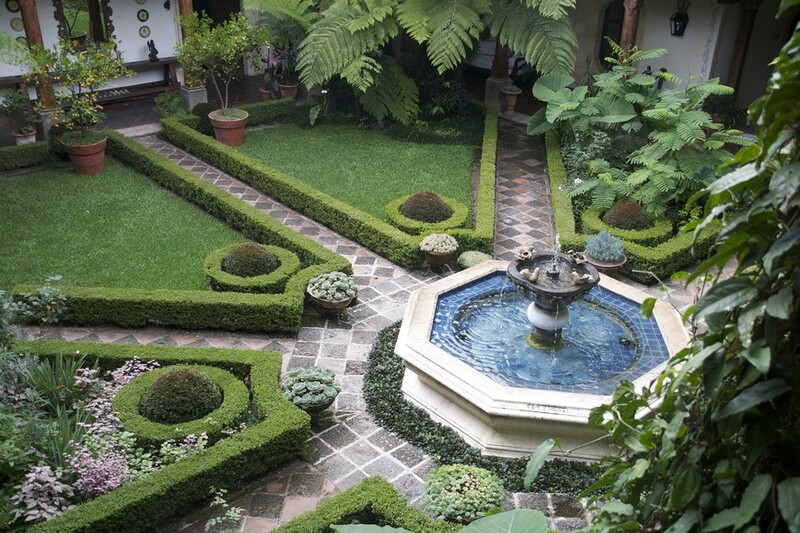 Also, according to landscape designers any perfect shapes, like circles or squares, make the space appear smaller. 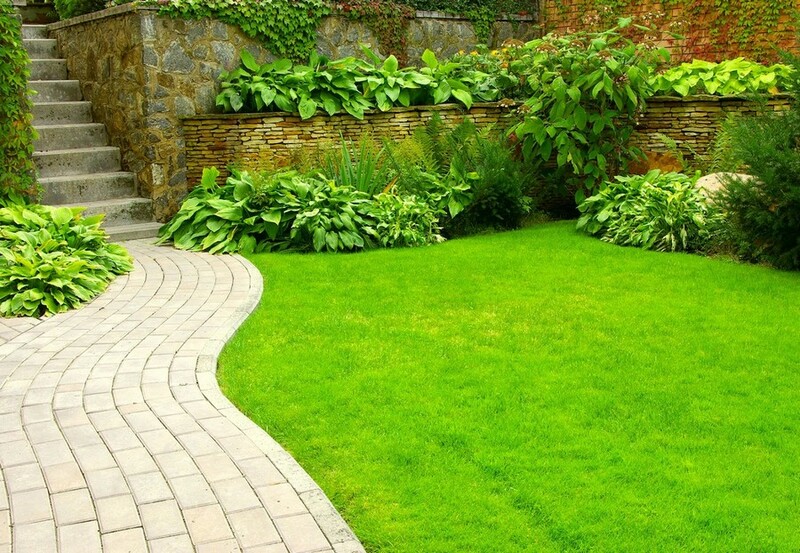 If you’re willing to make the path appear visually longer, any longitudinals, multi-level borders or adjacency to a lawn will help. Determined with the shape and length of the walkways, proceed to choosing their width. 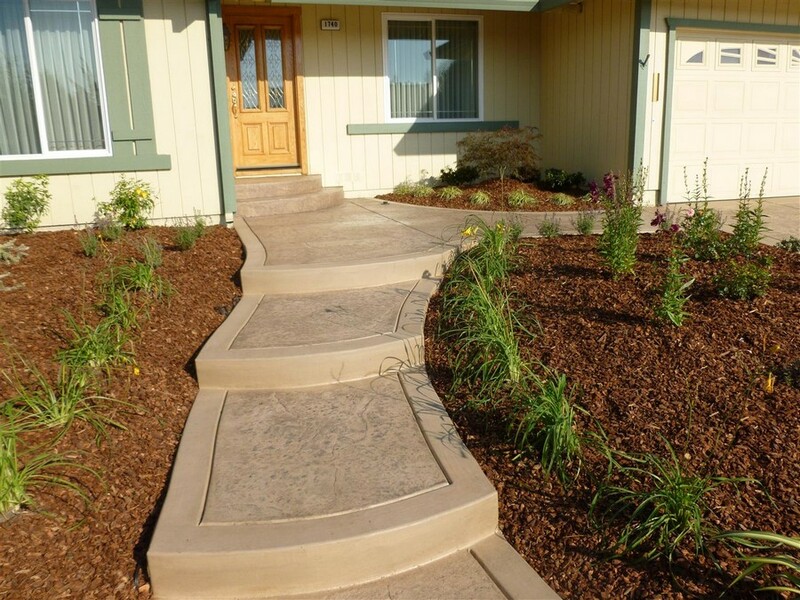 The standard width for main walkways is 1-1.2 meters, and for supplementary paths – 0.5-0.7 meters. Certainly, you may safely arrange wider paths, but they should by all means exceed the above-mentioned dimensions.